Walk-ins are welcome but reservations are preferred. Don’t let someone else get your time slot! Reserve your spot for the adventure of a lifetime! 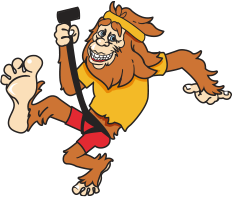 Rugaru (Roo-ga-roo) Adventures offers an experience like no other in the area. Our certified and trained guides will take you on a zipline adventure tour of 6 lines totaling over a half mile while enjoying the breathtaking scenery. You will reach speeds up to 35 mph and heights up to 60 ft. above the ground. Come find your Rugaru Rush! This place is amazing! Well worth the money and the staff are exceptionally nice! Go check this one off the bucket list in style! You’re going to love this experience when you go, they have a great set of lines! I didn’t think I could do it, but after the first ride it was awesome. Everybody should try it. I will do it again! A must do in Beavers Bend! The views were amazing and the staff was fun and professional. Loved that each line brakes automatically!!! Definitely the most adventurous thing to do in the area! This is a top notch operation, from the friendly staff to the zip system itself. It’s very thrilling and they save the best zip for last with the longest single zip I have ever been on that takes you across the beautiful lake! A must do! What an amazing adventure! Thank you all so much for giving me the privilege of an early visit. Your staff is very well trained and so very friendly. I look forward to your success! This was such an adventure. My husband and I zip lined for the first time on Saturday and it was amazing. The scenery was beautiful and the guides were fantastic. This was an amazing way to spend a beautiful Saturday evening! Thank you Rugaru Adventures! The kids loved it. Morgan and Josh were very friendly and safety conscious. Will be going back again. Had a blast! A definite must do while visiting Broken Bow Lake! Loved all the ziplines! Small town atmosphere! Bring on more adventures! Definitely will be back! I’m scared of heights but loved it! The staff is awesome! SO.MUCH.FUN! A must do! Awesome staff and awesome experience! We had a blast and will definitely be back! We had a blast! Everyone was very friendly and the view of the lake was beautiful! This place is awesome! Very friendly staff and well worth the money! We had a blast thank y’all so much! First time zip lining, had a blast. Thank you Trey and Morgan y’all were amazing guides. Definitely will be seeing you all again. My wife and I zip lined at Rugaru Adventures on June 1, 2016 and had a blast! Our guides did an amazing job of making it fun, they were extremely friendly, and made the experience memorable. We will come back and do it again and we’ll tell others. Absolutely a great adventure! Top of the line equipment, very professional and fun guides! This is a must do if you haven’t already! Can’t wait to go again! We had an amazing time last week when we did this! Our guides we amazing and made it so more relaxing for me! Everyone should definitely give it a try! A blast! The views were nice and we had a great time with the staff. They were a lot of fun and very friendly! We had a blast, everyone is amazing! If you are in town, you gotta try it! Kara, Brylee, Mo & Trey, you guys rock! Thanks for being awesome guides! The guides were amazing! So friendly, made sure we were all safe, comfortable and having fun. We were all together as a group which made it feel welcoming and surrounded in a great community atmosphere. The lines were exhilarating, especially the last zip across the lake was breath taking. My daughter loved this adventure! The people who work here are amazing and the experience is once in a life time fun! Super fun experience! The guides were very friendly and fun to hang out with along our journey through the zip lines. The best part was zipping across the lake at the end. Totally worth it! I had a great time! Morgan and Trey were awesome guides! You definitely can’t beat the views! Absolutely AMAZING! Staff was amazing and the course was gorgeous! The last zip line goes right over the lake and it is a stunning view. Will definitely be back! We had an excellent time. Our guides were awesome. 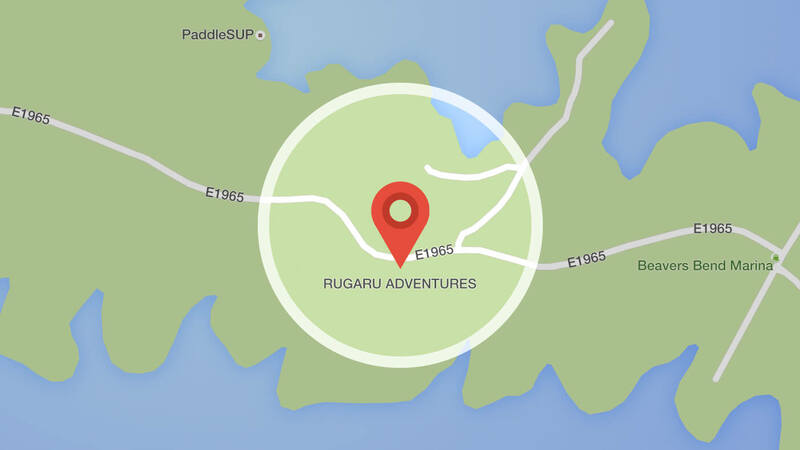 We couldn’t recommend Rugaru Adventures enough! © 2019 Rugaru Adventures | All Rights Reserved. The festival features forestry competitions that bring back memories of “the good ole days”! The spirit and heritage of the forest comes to life in the contest of men and women who make their living from the woods.